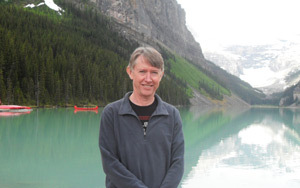 Pannell Discussions » 228 – Majority opinion » Ideas in economics, environment, policy and more. This week I saw a senior bureaucrat try to counter dissenting views on a government report by arguing that the great majority of people agreed with it. This is a highly flawed argument. I was at a public seminar this week, at which the leader of a government inquiry was outlining the findings from the resulting report. He made the observation that the great majority of people seemed to agree with the findings, but that there was a small but vocal minority who did not. Most of the audience seemed to be broadly on side with the speaker, bearing out his claim, but at least one took a very different position. During question time she made a vehement statement that amounted to a denunciation of the entire report. The speaker responded in kind. He said he thought she probably hadn’t read the report. When she reacted angrily to that, he asserted, “then you didn’t understand it” and glared at her. Later he once again referred to “the small but vocal minority”, this time adding, “who should be ignored”. It had been quite an aggressive comment, so perhaps the aggressive response was fair enough in a way, but the result was to close off debate. I guess that’s what the speaker wanted but I don’t think it was appropriate, and it didn’t go down well with some of the audience. While the exchange of fire was exciting, the main thing I’m going to focus on is the speaker’s implication that the views of a group of people must be wrong and should be ignored because they are the views of a small minority. That’s a terrible argument. If evidence and logic is with the minority, it doesn’t matter how few in number they are. As Einstein said in response to a Nazi pamphlet titled 100 authors against Einstein, “If I had been wrong, one would have been enough”. I’m not saying that the commenter was right. I haven’t read the report in question, so I can’t judge. All I’m saying is that the speaker was wrong to point to the number of people who agreed with the report as an indication that it was sound. I have personal experience of being in an absolutely miniscule minority on a controversial issue, but eventually being accepted as the one who was correct. 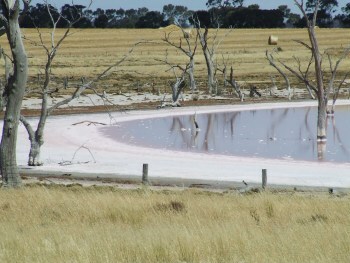 The issue was dryland salinity in Australia. My analysis in the early 2000s, drawing together the hydrogeology, economics and sociology of salinity, led me to conclude that the existing policy emphasis on integrated catchment management was misguided in most cases (Pannell, 2001a, 2001b). Also, salinity management recommendations at the time emphasised the need for all farmers in a catchment to cooperate due to their supposed hydrological inter-dependence. I concluded that this too was misguided, initially for Western Australia (Pannell et al., 2001) and later more generally (Beverley et al., 2012). For a long time I was the only one who was publicly putting these view, which ran counter to the way that almost everybody was thinking about the problem. An implication of my conclusions was that many millions of dollars were being wasted in public programs to fight salinity. When I tried to put my position in conferences and meetings, I often generated strong negative reactions, including derision and anger. Many people working in the area said that I didn’t know what I was talking about and rejected my arguments out of hand. One notable incident involved a very public tirade of abuse from a fellow economist following my Presidential Address to the Australian Agricultural and Resource Economics Society in 2001. Over time, the weight of evidence supporting my position got stronger and stronger (e.g. Barrett-Lennard et al., 2005), and I won people over, or maybe just wore them down. By the time of the Second International Salinity Forum in Adelaide in 2008, my views that had seemed heretical to many in 2001 had become the new orthodoxy. The point is, it doesn’t matter how small the minority is, they might be right. Logic and evidence is what matters, not weight of numbers. In fact, whenever there is a really important advance in knowledge that overturns a previous misconception, by definition, the person with the new insight is initially in the small minority. The salinity experience has made me particularly attuned to the possibility that the majority can be wrong. As a result, I worry about the heavy reliance on scientific consensus as an argument in the climate debate. The consensus might well be right, but the fact that there is a consensus is not, in itself, an argument that should be convincing. There was an almost unanimous consensus about these two aspects of salinity management and policy that turned out to be wrong. Posted on 22 November, 2012 by David Pannell. This entry was posted in Climate change, Environment, Natural resource management, Policy, Research. I take many of your points, but I don’t think it’s accurate to refer to the “heavy reliance” on consensus in the CC/AGW debate, except rhetorically. 1. The scientific “consensus” has been formed by relying on modelling and evidence, done by many, over time, heavily triangulated (as in, from all directions with a consistent picture building up). We can always pick apart modelling, and we have to allow for uncertainty and model error along the way, but there’s an enormous amount of work being done that points in a fairly identifiable direction. 2. There have been plenty of “voices in the wilderness” pushing against the consensus. Some of them have been funded by the fossil fuel industry and other “big money” interests (cf. The Heartland Institute). Some of them are propelled by ego, or by ideology. All these things aside, there are dissenting voices out there and if there was credible evidence building up to challenge the consensus, they’d be likely to find it (without resorting to cherry picking, goalpost shifting and the various other tactics regularly seen). The “salinity consensus” eventually broke down because the evidence to underpin it couldn’t be found to support it. It’s hard to say the same re climate. Very fair comment. I didn’t mean “heavy reliance” in the sense that you’ve taken it (though I can see why you would). What I meant was “heavy emphasis”. Advocates use the consensus extensively as a simple way to try to convince people that there is a problem. My point is that the consensus “is not, in itself, an argument that should be convincing”. This doesn’t imply that there isn’t other evidence that could be convincing. I would observe that the clear consensus on the general features of the science doesn’t necessarily translate into such a strong consensus on the most appropriate policy response. I think there is more diversity there, because more than the science is relevant.